Barbara Bolt has written an "explainer" called "What is artistic research?" for the University of Melbourne’s online (and offline) magazine. She focuses on the role of the artist and their privileged position as being both inside and outside of the artistic research; that artistic research has made it possible for artists to "find their voice where hitherto they have been the object of study by art historians, musicologists, critics, curators, and cultural theorists, amongst others." According to Bolt, the researcher as "maker and observer" identifies and argues the "research’s claim to new knowledge, or rather new ways of knowing". The role of the artistic researcher is not to describe his or her work, nor to interpret the work, but rather to recognise and map the ruptures and movements that are the work of art in a way not necessarily open to others. The artist-as-researcher offers a particular and unique perspective on the work of art from inside-out as well as outside-in. This also means getting rid of the age-old thinking about Erkenntnistheorie as being about an I, an ego, a subject that tries to cast a theoretical net over an object. Instead, let us be a little bit more humble and see the experimenting subject as engaged in an activity that has, to put it in Ian Hacking’s (1983,150) words, "a life of its own," and one that is in need of many good eyes to see and many good ears to hear. Let us get rid of what could be called the tyranny of the subject. : Rheinberger, Hans-Jörg, and Michael Schwab. ‘Forming and Being Informed’. In Experimental Systems: Future Knowledge in Artistic Research, 198–219. Orpheus Institute Series. Leuven: Leuven University Press, 2013, p.199. I’ve been reading a collection of essays edited by Michael Schwab called Experimental Systems: Future Knowledge in Artistic Research1. The essays respond to science historian Hans-Jörg Rheinberger’s writing on experimental systems2 from the perspective of practice-research. There are a number of fantastic ideas in the book and so over the coming weeks I’m going to post small excerpts or quotes. It is all about the epistemic effects of these acts and activities. They don’t just occur out of the blue. Just to give an example: I have the impression that an artist like Cezanne, who painted hundreds of apples in his countless later still lifes, must have been caught in a kind of experimental system. It was all about tiny changes and iterations—doing it again and again and always with a small differential gesture. I am interested in the creation of differences through such processes of iteration, be it in the sciences or in the arts. Holding these small differences against each other produces knowledge effects. The very process of iteration brings these slightly different variants of an experimental process into contact with each other. It is not the relation between a thinking mind and object on the table in front of it, the classical relation between a knowing subject and an object posed before it; the basic idea is to introduce multiplicity at the object-level itself and thus to get rid of the classical dualistic structure of epistemology. Musical variations are a wonderful example of processes of iteration. In this sense, I think, scientific and artistic activities share something in common, although their respective knowledge effects may be of a different order or a different kind. Certainly the product is of a different kind. The problem is that doing scholarly work is intrinsically a mess. There’s the annoying business of getting ideas and writing them down, of course, but also everything before, during, and around it: data analysis and all that comes with it, and the tedious but unavoidable machinery of scholarly papers—especially citations and references. There is a lot to keep track of, a lot to get right, and a lot to draw together at the time of writing. Healy is of course talking about the nuts and bolts of collecting ideas, managing materials, etc, but his writing did make me think about the beautiful messiness of practice-as-research in particular. It can be a remarkable cocktail of uncertainty, rigour, care, intuition, desperation, and failed experimentation. I went to Becky Hilton’s workshop at Independent Dance back in December. It was a rich and playful weekend. 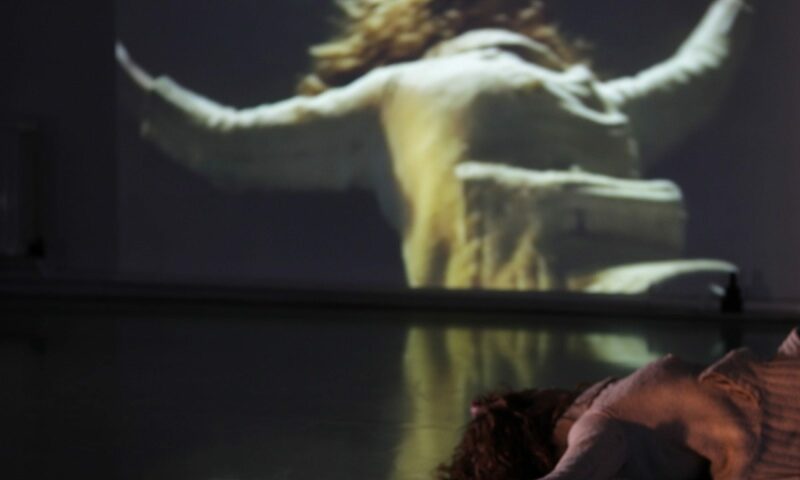 What is this culture of research doing (or has done) to art, performance and dance? Someone said that it had given them time and space to work (perhaps this was referring to doing a PhD? ), another felt that it had made the climate more competitive (perhaps this was about academia?). My sense is that the academic climate has become more competitive in general (after all, competition and neoliberalism are old pals: http://blogs.lse.ac.uk/politicsandpolicy/the-cult-of-competitiveness/), and that it would be hard to say that a culture of reseach has done this to the arts. Another person mentioned that the Arts Council still thinks of research in terms of research and development. That research is the thing you do before you get to make the piece. Becky described her sense of the “continuity of community” that the research culture has made possible. Reading between the lines I’d imagine that this – at least in part – has to do with the responsibility of engaging with communities of practice that is vital to research processes and practices. And another person mentioned that they felt that research in the arts had become an antidote to R&D and projects. I like this, that research enables us to rethink the ways in which we pursue our curiosity and imaginations.